In this sequel to STORK, Katla Leblanc has to employ her grit, spirit, and special gifts to rescue the boy she loves. After the drama of finding out that she's a Stork, a member of an ancient and mystical order of women, and that her boyfriend, Jack, is a descendent of the Winter People able to control the weather, Katla Leblanc is delighted when all signs point to a busy and peaceful Christmas. That is, until the snowstorm Jack summons as a gift to Katla turns into the storm of the century, attracting Brigid, a gorgeous scientist who, in turn, attracts Jack. Between the school play, a bedridden, pregnant mother's to-do lists, and keeping an eye on her aging grandfather, Katla doesn't have time to question Brigid's motives or deal with Jack's increasingly cold behavior. 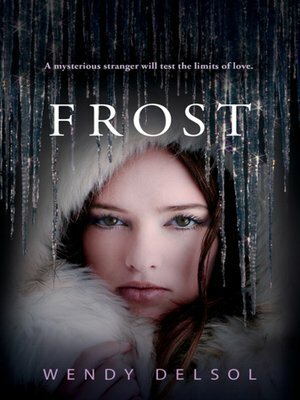 But Katla's suspicions mount when Jack joins Brigid on a research expedition to Greenland, and when the two of them go missing, it becomes clear that Katla is the only one who can save her beloved Jack from the Snow Queen who holds him prisoner. Adventure, romance, and myth combine in this winter escapade for teens who like a bit of fire with their ice.